Mini Lotto Punter Turns Fifty Cents Into $500,000! An Australian punter has changed his life, turning fifty cents into $500,000.00 betting on Mini Lotto at Lottoland. Peter has been betting with Lottoland since 2017 and has placed bets on multiple products. Finally, his persistence paid off and he managed to score a dream $500,000.00 win betting on the Mini Lotto! Sunday's draw provided Peter with his 'mini' fortune, successfully matching five out of five numbers and taking home the Division 1 jackpot! Fortunately for Peter, the jackpot was boosted from the standard $110,000.00 up to a huge $500,000.00 for the draw that he won on - putting a little extra cherry on top for the lucky winner! What is a Special Jackpot? Our winner correctly matched all five numbers by using a system bet, which allows you to select more numbers than the required amount, which in turn gives you more combinations and chances to win! How do system bets work? To see the full results, you can check out our Mini Lotto Results. 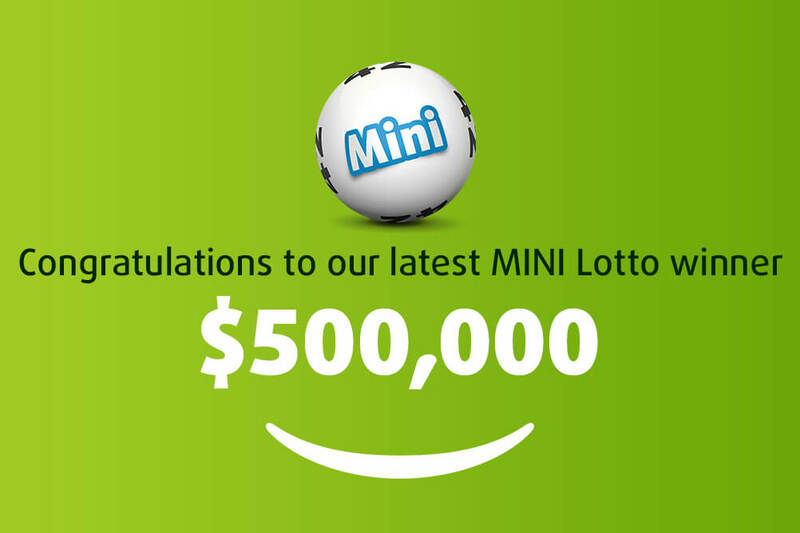 They say good things come in small packages and that certainly holds true with the Mini Lotto! In 2018, Lottoland has paid out over $750,000 in winnings to customers who have won betting on the Mini Lotto. Just last month we had a player take home $250,000 betting on the Mini Lotto, and with this win it's quickly becoming one of our fan favourites (for good reason too - it's got the best odds of any lottery at Lottoland)! Find out all about our Lottoland Winners! The Mini Lotto is based in Poland and is drawn every day at 7.40am AEDT/5.40am AEST. This means you have the chance to win every single day! Mini Lotto has the best odds of any lottery at Lottoland, and for just $0.50 you could be our next big Mini Lotto winner!